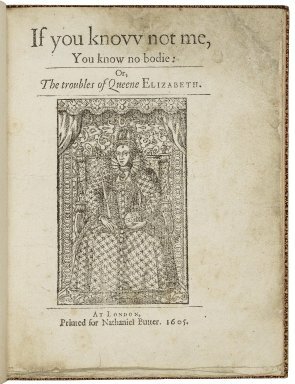 If you knovv not me, You know no bodie: Or, The troubles of Queene ELIZABETH. AT LONDON, Printed for Nathaniel Butter. 1605. Title page imaged from Folger call number: STC 13328. Image is not from the transcribed copy.